RE: How to create a server with sim800l module? I want to create a web server with my sim card. I search on the internet, but there is no example for sim800l. Most of the example are for WiFi or sim900, etc. I want to command my M5stack (using SIM800) by sending a data from my computer with a simple website. So my M5Stack + Computer both can be connected to internet and my computer will be knowing the IP address of the Sim card. I'm using the example code from TinyGSM.h library. I don't know why after I upgrade the arduino from 1.8.5 to 1.8.7, and then I can get the result. 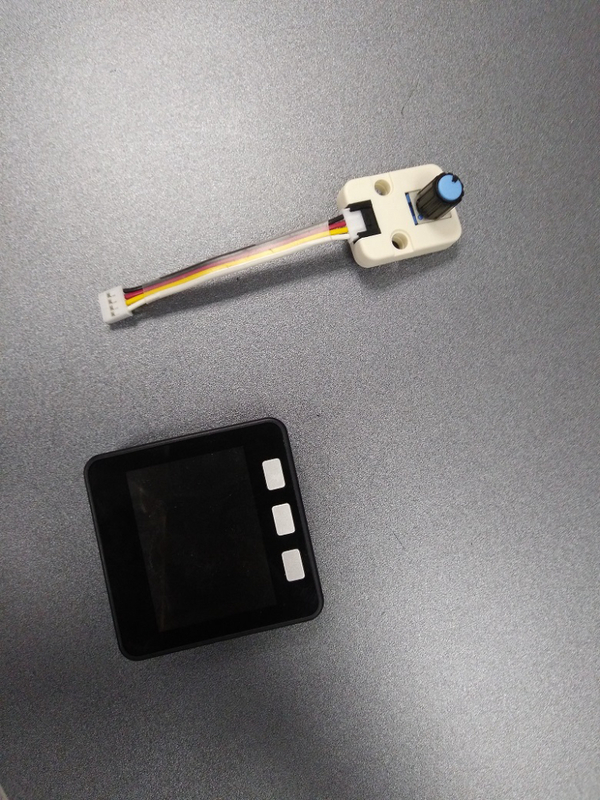 RE: [Solved]How to use the angle sensor? I'm now trying to use the sim800L Module (https://www.elektor.com/m5stack-sim800l-gsm-module). I want to check whether the sim card can connect to network. However, I cannot check whether the sim card have network function. I had visit different website and use tinyGSM but still can't fix the problem. Can anyone give me some tips? I had tried. There is no change when i steer the sensor, but the value will sometime auto change itself. Do you mean changing "#define ROTARY_ANGLE_SENSOR 22" to "#define ROTARY_ANGLE_SENSOR 21"? I changed 22 to 21 but there is no difference except digitalread() of 21 is always 1. Yes, the white thing is the angle sensor and i connect it to the M5 Core. The Digitalread returns is 1. I had tried analogread() on 22 but cannot get the angle change on the serial monitor (Its always 0).